Submitted by Jeff Buster on Thu, 04/04/2013 - 08:54. 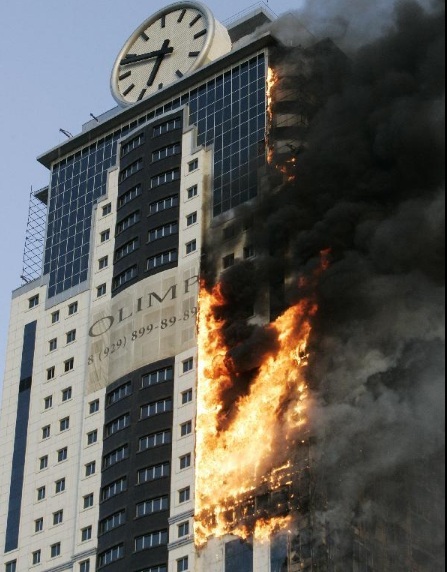 Apparently ignited by an electrical short circuit in a air conditioning unit - the entire 450 high skyscraping in Grozny torches itself. Are flamable plastic building envelopes allowed in the USA? 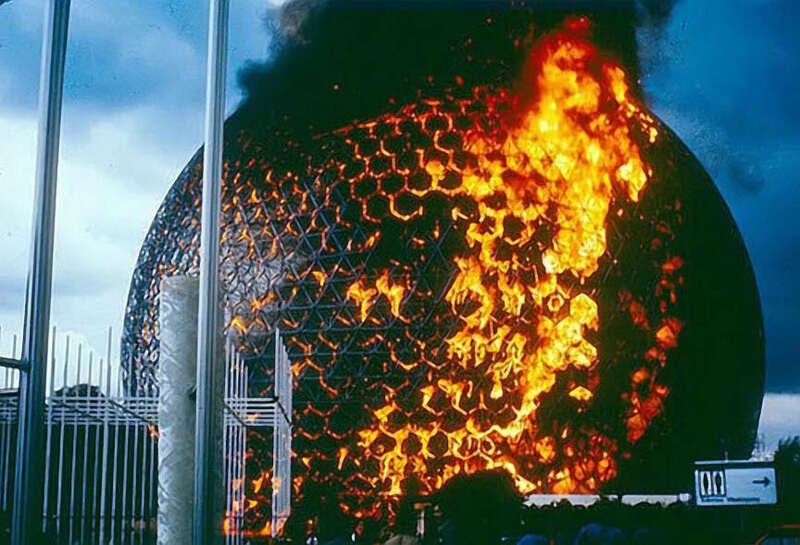 Even Bucky Fuller used flamable acrylic for his Montreal World Fair dome. Bucky learned the hard way too - Dome skin burned off!